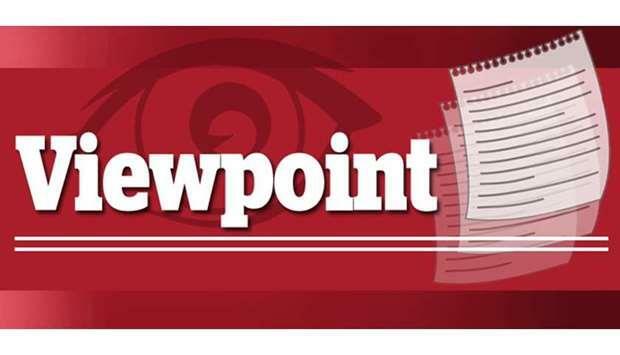 (MENAFN - Gulf Times) The crisis in Venezuela has triggered fresh tensions between Washington and Moscow, with chilly exchanges at the United Nations, but analysts warn against the temptation of seeing the return of Cold War-style divisions. Since Venezuelan parliament leader Juan Guaido declared himself president on January 23 to challenge leader Nicolas Maduro, the rivalry between the US and Russia has returned with a vengeance. Washington, as well as Europe and most of Latin America, has backed Guaido, while Russia, joined by China, has denounced US pressure and insisted that its ally Maduro is the only legitimate head of state. 'There's a Cold War atmosphere, says Thomas Posado, an expert in foreign relations at the Paris VIII university in France, but 'it's a lot less ideological. 'What is particular about the Venezuelan crisis is that there are very contemporary economic interests at stake, linked to how Venezuela's debt is going to be reimbursed, and to whom, he added. Russia and China have become the biggest lenders to Venezuela in recent years and the largest foreign investors in the country's oil sector, which sits on the largest deposit of proven crude reserves in the world. The US has its own interests to protect in the country as the single biggest buyer of Venezuelan oil. 'It's not the Cold War, it's not old-style American anti-Communist policy because there isn't any Communism anymore, said Richard Lapper, a Latin American expert from the Chatham House think-tank in Britain. Venezuela is just the latest in a succession of international crises on which Russia and the US have found themselves on opposite sides. 'You can't talk about there being some ideological divide like a new Cold War because you can't consider that Russia and China form a bloc against the West, said Isabelle Facon from the France-based Foundation of Strategic Research. She said Moscow and Beijing have grown wary of US and European foreign interventions after their decisions to help topple the governments of Iraq in 2003 and Libya in 2011. 'They are very close in their criticism of what they see as the propensity of the United States and Europe to intervene and bring about regime change, Facon said. The West, meanwhile, sees Russia as an increasingly aggressive power after its military interventions in Georgia in 2008, Ukraine in 2014 and Syria in 2015, while China rapidly expands its global influence. Analysts also say that the unilateralist foreign policy choices of President Donald Trump have fractured the traditional Western alliance between the US and Europe, perhaps to the worst degree since World War II. This means the Cold War-idea of a unified 'Western bloc has become obsolete, while the European Union itself is divided on how to respond to the crisis. At this stage, the EU looks unlikely to follow Washington in imposing additional sanctions against Caracas. 'I think it's a very high-risk strategy which the US and the Latin American countries are embarked on. You don't normally appoint an alternative government, Lapper said. 'You assume that it's not going to last very long. 'The problem at the moment is that there's no sign yet of the high command of the armed forces in Venezuela ending their support for Maduro, he added. 'And there's no sign that Russia and China will not support him. Lapper sees the role of China as critical in Venezuela and many other Latin American countries, which is a major change from the Cold War-era. 'One thing that's changed over the past few years is that Chinese policy in the region, rather than being accommodative, has begun to become more aggressive, Lapper said. 'They're looking to shape things in Latin America as in the rest of the world. China's now the biggest trading partner for very many Latin American countries, and a very big source of investment.